SAIW Certification recognises the need for the welding and related technology sector of industry, to have competent, knowledgeable and skilled personnel, at all levels, for optimum performance. SAIW Certification will provide maximum support for this sector and individuals within this sector to enable them to be locally and internationally competitive. SAIW Certification will encourage and promote the use of competent personnel through Education, Training, Qualification and Certification programmes, in conjunction with, but independent from, Approved Training Bodies. SAIW Certification has also recognised the need for ensuring that welding fabricators are seen to be competent and that they are seen to exercise control of the special process of welding so that clients and others can have confidence that the welded products produced by the welding fabricator will comply with regulatory and/or contractual requirements as related to quality in welding fabrication. The personnel certification schemes administered by SAIW Certification will be independent of any training activities and will comply with national and international standards relating to certification of personnel. 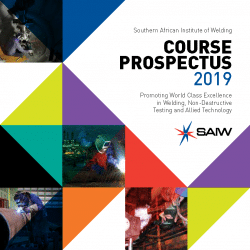 SAIW Certification will operate as the South African Authorised Nominated Body (ANB) as authorised by the International Institute of Welding (IIW) and as such, accepts full responsibility for the implementation of specified IIW programmes and requirements within South Africa. The ANB will appoint a Chief Executive Officer who will be responsible for the administration of the ANB IIW activities. 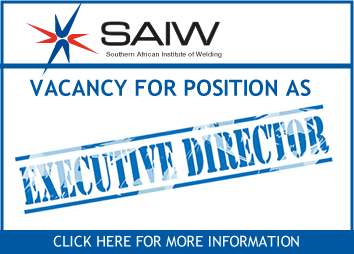 In this task, the CEO will be responsible to the Governing Board of SAIW Certification. 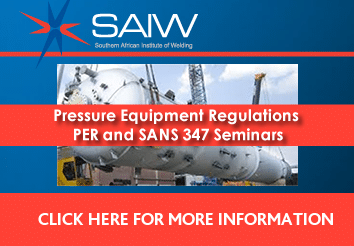 SAIW Certification will operate as the South African Authorised National Body for Company Certification (ANBCC) as authorised by the International Institute of Welding and as such, accepts full responsibility for the implementation of IIW Manufacturer Certification Scheme policies and requirements relating to the certification of companies.